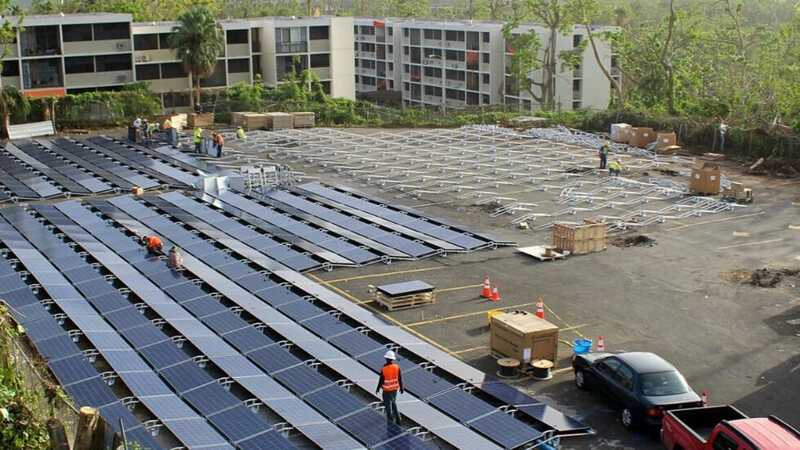 Earlier this month, Elon Musk and the governor of Puerto Rico, Ricardo Rossello, began talks centered on rebuilding the island’s power grid using Tesla solar and battery technology. The devastation caused by Hurricane Maria has left 75 percent of the country’s connected residents without power. Now, Tesla has used its tech to restore reliable electricity at a children’s hospital. San Juan’s Hospital del Niño serves over 3000 children across the country and is home to around 35 children with serious medical conditions who require constant care. Since Maria hit, it’s been powered by generators and forced to ration diesel fuel. "I've never seen a team arrive so fast and work so fast. They built this in a week," Rafael Pagán, the hospital's chairman of the board, told Telemundo. Puerto Rico assures citizens that 95 percent of them will have power by December 31, but many believe this to be a wildly optimistic promise. With estimates for restoring the power grid said to be as high as $5 billion, it’s thought the country could run out of money very soon. The state-owned PREPA—the Puerto Rico Electric Power Authority—filed for bankruptcy in July, before the hurricane arrived. Efforts to bring power back to Puerto Rico have been engulfed in controversy recently. PREPA just signed a $300 million contract with two-year-old Montana firm Whitefish Energy, which only had two full-time employees when Maria hit. The company is based in Whitefish, Montana, the same small town that U.S. Interior Secretary Ryan Zinke is from. Zinke knows the owner, Andy Techmanski, and his son worked a summer job at one of Techmanski’s construction sites. The CEO maintains he got the contract because he was in the right place at the right time. “In an interview on Oct. 10, Mr. Techmanski said he got the job because he was the first to show up on the island—on Sept. 26, six days after the storm hit—and because he didn’t ask for any payment in advance," writes the New York Times.